I am the developer behind new product innovation. I also handle contracts & strategy. I do my best to make your online experience with us, as responsive and pleasurable as possible. Centimo has been founded in 1995 by Jan Overwater after lots of research and work in the flower dye business. We are creating added value for fresh flowers and plants. Centimo is one of the world market leaders in the field of flower dyes for fresh flowers and plants. We are specialized in absorbable – and dipping dyes. We are aiming added value for flowers and plants in the broadest sense of the word. In this part you will find information about the company and the products of Centimo. It is also possible to ask questions on the contact page of this site, call us or send us an e-mail; info@centimo.nl. To simplify the use of the products you can find several manuals that will help you to reach the best results. In some cases it is also possible to download a small web-stream movie which will also give a better idea of the use of our products. 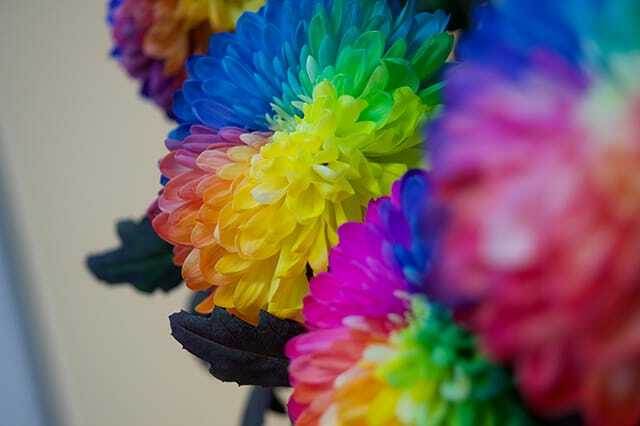 One of our specialties is dye for flowers and a important success factor is the variety of flowers which can be dyed. One variety rose dyes much better then the other and to help our customers we started with indicating the varieties that dye well. We have recently started this and considering the fact that we are also testing everything ourselves we do not have a very big list yet. It is however our intention that the list will be updated regularly. We co-operate with several flower breeders and customers who use our flower dyes so we will share all this information with you. We have also added a frequent asked question list on this site, therefore it is also possible to find answers yourself and this list will be constantly updated. and plants. To give some ideas to the users we have decided to show photographs of different creations. Finally there are several interesting internet sites mentioned, which are worth to be looked at.